With the heat of summer just setting in, we are all frequently looking for refreshing ways to cool down. One of the most popular cures these days is coconut water. Not only is it a trend among celebrities, but the business is pulling in major numbers; $40-60 million in annual sales. Some brands, like Vita Coco are even so selective as to limit those who invest and endorse their product. Coconut water has a number of nutritional perks, including its potassium content. To give some background, coconut water is the clear liquid inside young coconuts (fruits of the coconut palm). 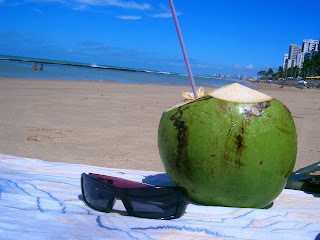 As the fruit matures, the coconut water gradually is replaced by the coconut meat and air. 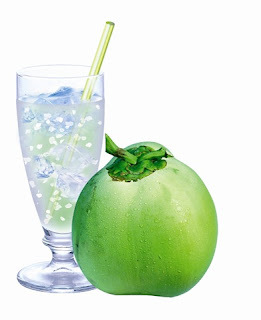 It is popular in the tropics and contains more electrolytes than most sports drinks. Clearly this is something we could potentially see on the sidelines of sporting events, as the popularity continues the grow. Other popular brands include ZICO and O.N.E. It may be a trend, but based on the nutritional value and natural sourcing, coconut water is on its way to being "the next big thing".